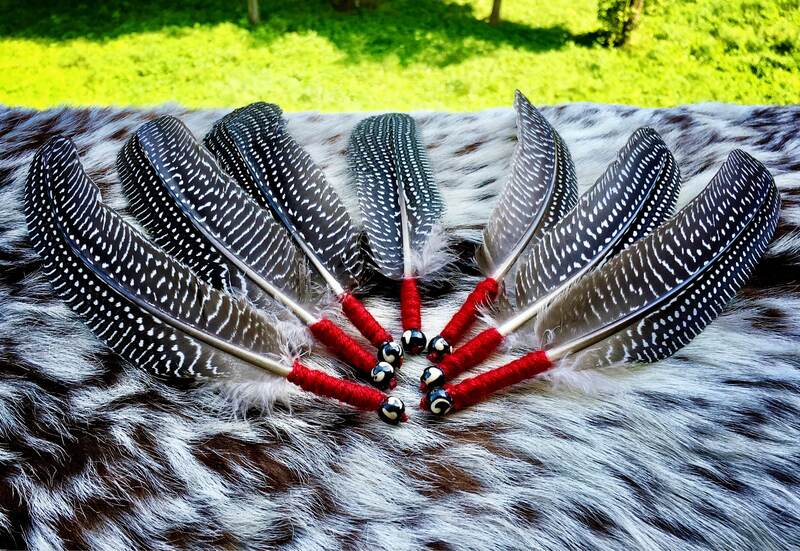 Smudge/prayer feathers sold individually, wrapped in wool yarn with a hand carved buffalo bone bead. Cruelty free and hand wrapped by a member of the Cheyenne River Sioux Tribe. 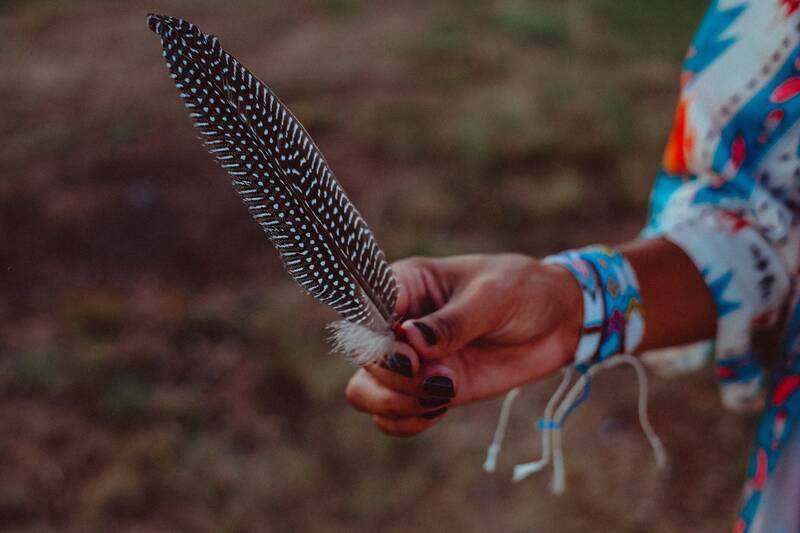 Each feather measures approximately 7-9”. 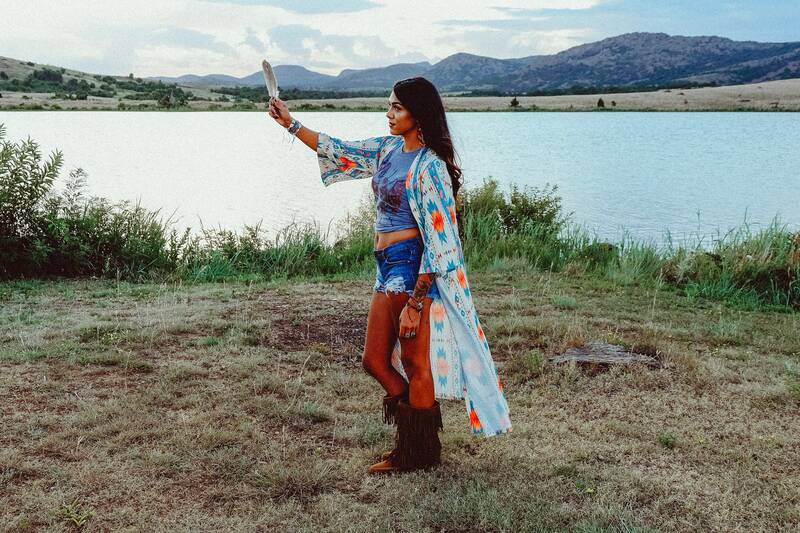 Sage blessed with a Lakota prayer. second order from this shop ....Thank You so Much. Looks even better in person. Thank you! Thank you...love this. Fast shipping and well packaged. 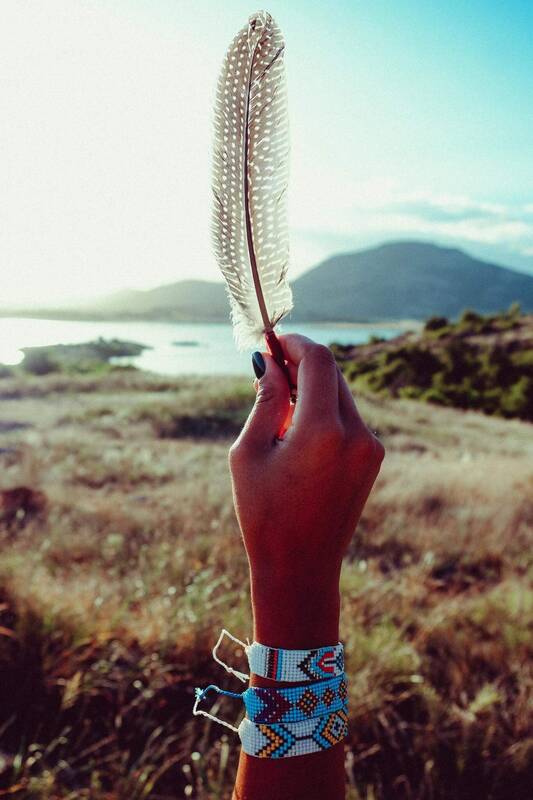 Lovely feather - just as pictured. Arrived well packed and super quick. A nice little Palo Santo smudge stick to boot. Thanks Whispering Winds!